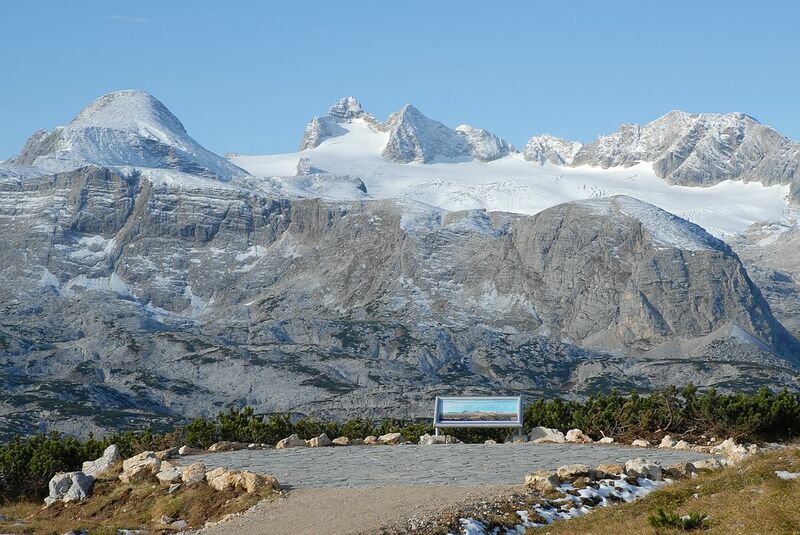 The viewing platform World Heritage view offers an unique panoramic view of the mighty Dachstein glacier, and is one of the most popular photo and selfie points. The Weltnaturerbeblick is located only a few minutes from Krippenstein mountain station and to cope with for persons with disabilities and one accompanying person, so that all visitors have the opportunity to enjoy the fantastic Dachstein panorama from next proximity. Not far from Weltnaturerbeblick the cozy sun terraces of the Lodge am Krippenstein and Bergrestaurant Dachstein Krippenstein invites to relax and enjoy the delicous befor the day full of mountain experiences continue. The short walk from mountain station Krippenstein to World Heritage view, above the Lodge am Krippenstein, offers an awesome view to the Dachstein. From WeltNATURerbeblick you can continue your hike to the viewing platforms Welterbespirale and 5fingers which you reach in about 10 to 25 minutes. TIP: Also sheep have discovered the Krippenstein as a fantastic relax zone ;-) At the edge of the trail to the 5fingers sheeps graze and relax at the alpine meadows. The route to the World Heritage viewing platform is wheelchair accessible and suitable for guests of all ages who may not be so good on their feet! The magnificent views of the Hallstatt glacier will not fail to impress!